Browser based, online website builder allows you to make your own website. Do it yourself website design is now within everyone's reach. DIY website design saves money and looks great! Make your own website NOW with a free trial or take a tour of our DIY website builder. You may also wish to learn about our affiliate program, or of course you can contact us with any questions about our service or visit our frequently asked questions page. Build your own website today! Do you need to make a website for your business, family, or club? With websitesin5, you can do it yourself and save thousands of dollars without sacrificing any features. 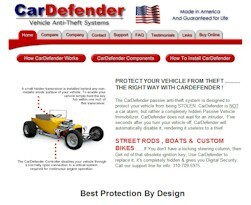 This very website was made with our do it yourself website design software! You can make your own website that looks just as good as this website without any previous website design experience. We have made it easier than ever before with our do it yourself website design technology for you to make your own website. Although our DIY website design software is capable of ecommerce websites, you can also use it for non-ecommerce applications (and save even more). With our do it yourself website design software, simply enter in your information, click a button, and the websitesin5.com DIY website design software will do the rest! High quality business and ecommerce website designs and complete customization can be achieved in just minutes using our DIY approach to website building. Make your own website and you will significantly reduce both the upfront and ongoing cost of your ecommerce or business website. Your support representative is only a click away, providing you with helpful advice & free assistance. Each websitesin5.com website builder client is a valued asset, and we intend to keep you impressed every step of the way. Try our incredible do it yourself website builder absolutely free of charge and make up your own mind as to what you could accomplish with our DIY website design software. You are guaranteed to agree that this is everything, and more, than you will ever need in designing and building your own personal or business website. Start your free trial of our DIY website design software right now. This website was made with exactly the same do it yourself website design tools that we provide to our clients!. Below are some more websites made using the websitesin5.com website builder by people with absolutely no programming experience. You don't need to know anything about HTML to make your own website using our do it yourself website design tools. View more sample websites. Make your own website right now with a free 10-day trial of our website builder. "Whoever designed this DIY website builder software needs to be congratualted for their work. I've tried several others and none of them can compare to websitesin5.com. It's very user friendly, I can't wait to upload the background music for the opening page! Thank you for helping us to make a website so easily." "I would like to fomally say that I have reviewed hundreds (no exageration) of website builder sites in the past 2 years and your program is by far the most incredibly fantastic tool I have come across. I never would have believed that I could build a website so professional and so feature rich in a matter of minutes. When you say websites in 5 - you really do mean it! I love your program - it's user friendly, feature rich and downright amazing!!!!" 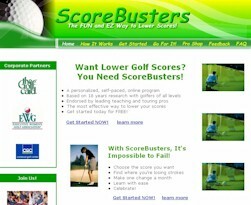 "We hit the jackpot with the websitesin5 website builder. Not only did they provide a great service reasonably priced, they also provided the option to store media clips on the site, which was crucial for us. Media storage is typically expensive through other website providers, and many don't have this feature at all. To top it off websitesin5 offered the option of your own ecommerce business pages. I have had wonderful feedback from my visitors."